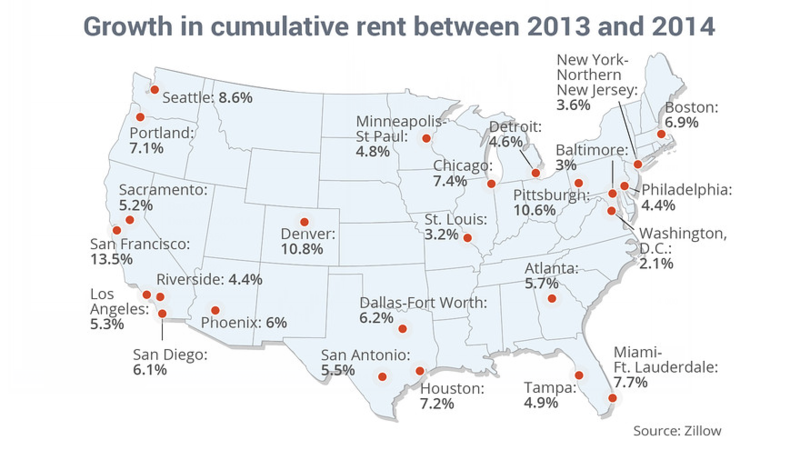 I believe this graphic from Zillow is good just in the sense that it says there is a “sizable increase” in rental burdens for people this year. 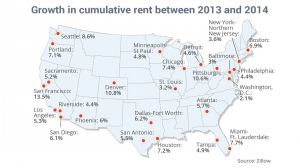 Did San Francisco really go up 13% last year? Probably not but 5 – 7% is reasonable, be skeptical but be aware that the trend is up. Rent increase in San Francisco is growing rapidly and it is hard for non-profit organizations such as helping the homeless, the elderly stay there. It’s terrible. I really like the formatting of your post. The headers and bold text ensure it is a straightforward read.